I have been tardy in posting lately since I have been practicing dentistry on a long term contractual assignment with a long commute. So, for the next few months, bear with me. Researchers at Tufts University School of Dental Medicine and the Forsyth Institute published a study today that found that a significant proportion of dental bib clips harbored bacteria from the patient, dental clinician and the environment even after the clips had undergone standard disinfection procedures in a hygiene clinic. Although the majority of the thousands of bacteria found on the bib clips immediately after treatment were adequately eliminated through the disinfection procedure, the researchers found that 40% of the bib clips tested post-disinfection retained one or more aerobic bacteria, which can survive and grow in oxygenated environments. They found that 70% of bib clips tested post-disinfection retained one or more anaerobic bacteria, which do not live or grow in the presence of oxygen. The dental community is up in arms over a recent Consumer Reports article that claims oral cancer screening is one of several medical tests that are over recommended and unnecessary for all but high-risk patients. Many dentists in the Tulsa area received letters from an anonymous writer criticizing the Oklahoma Board of Dentistry for the way it has handled the Dr. Scott Harrington case. 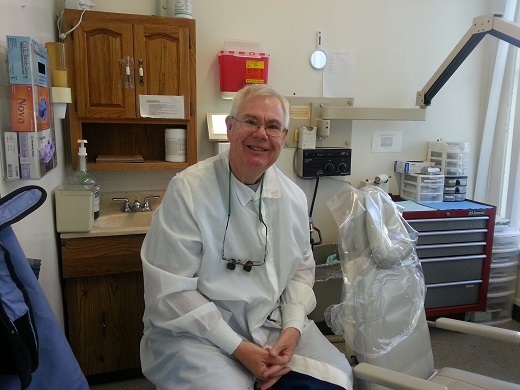 The writer calls him or herself "Anonymous Dentist," and writes "Friends, I can tell you that this could happen to any of us." The writer said the board wrongfully handled the Harrington case publicly before he had had a hearing. "The state board is really paid by and organized for the public," said Dr. Raymond Barnum at the North Tulsa Dental Center at Westview Medical Center. He said he also believes it is important to reserve judgment on Dr. Harrington until all the facts are gathered. However, he said the board's driving force was to inform and protect the public. Dr. Barnum said the media is necessary in spreading that message. "The fact needed to be brought to the public's attention, and loudly enough, so that we get some response, so that people would go ahead and get their testing done," said Dr. Barnum. 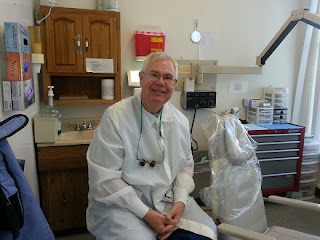 Dr. Barnum said he believes the issue will bring about more awareness of cleanliness in dental offices. He has posted a notice in his waiting room about infection control in his office. However, he said he does not think additional regulation is necessary. The UCLA School of Dentistry was awarded more than $11 million from the Los Angeles-based child advocacy and grant-making organization First 5 L.A. to expand access to dental care for children and pregnant women, the school announced today. The funds will establish the UCLA-First 5 L.A. Children’s Dental Care Program, which will support the delivery of care to children, from birth to age 5, and pregnant women over the next five years. School officials said they expect the program to be especially beneficial to those in underserved communities, who are at high risk for dental disease. First 5 L.A. awarded $9.23 to the dental school last year, bringing the total amount it has received from the organization to nearly $21 million over the past 12 months.